All property, public and private, comes with a certain responsibility to keep safe when used by the public. When certain regulations and standards are not met, people that are traversing such areas could find themselves injured. When this is the case, they will need medical attention and legal assistance. When an owner or operator cannot or will not keep even a minimum standard of safety, then there is a responsibility to ensure that it does not happen again. The owner or operator may well be liable for not keeping their property secure enough for others to walk, work, or play. Many of our our members specialize in premises liability and personal injury and has successfully handled many similar cases. Our experts are able to determine what steps were taken– or not taken– to ensure the safety of visitors. They can compare the conditions of the premises to regulations or to the conditions needed for safe operation. They can hire experts to determine the level of liability the offending party has taken on and what could be done to recoup damages. We can work with your insurance company to make sure that you have adequate medical coverage. We can help you find medical professionals to treat you and even pay for some costs out of pocket if need be. Most injury lawyers work on contingency, not asking for a dime unless we get justice for you. We can determine the level of medical expenses needed– both long and short term, as well as the cost of lost work or pain and suffering. We’ve seen it all, so we can handle it all. We see the common injuries caused by premises issues, including broken bones, slips and falls, paralysis, soft tissue damage, spinal cord issues, lacerations, and others. Many of our lawyers also have experience in many of the common causes of property injuries. These could include issues with not following regulations, missing fencing or rails, wet floors, poor construction, staircase issues, or others. Some of our members may be able to challenge the other party and/or the insurance company to make sure that your expenses and suffering is properly taken care of. 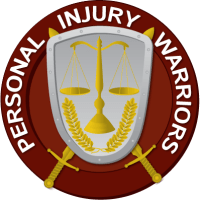 Don’t leave it to chance– call the Personal Injury Warriors for more information today.